Finding time to implement effective teaching strategies can be challenging, especially for professors where teaching is only one of their many responsibilities. PhD student John Hickey is trying to solve this problem with Tcrunch, a new application (available on the Apple and Google App stores for free) he has created. 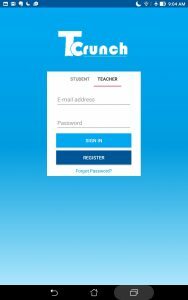 Tcrunch enables more efficient and frequent teacher-student communication. You can think about it as an electronic version of the teaching strategy called an “exit ticket.” An “exit ticket” is traditionally a 3×5 card given to students at the end of class; the teacher asks a question to gain feedback from the students and the students write a brief response. Here you can do the same thing, but Tcrunch eliminates any paper and performs all collecting and analyzing activities in real-time. 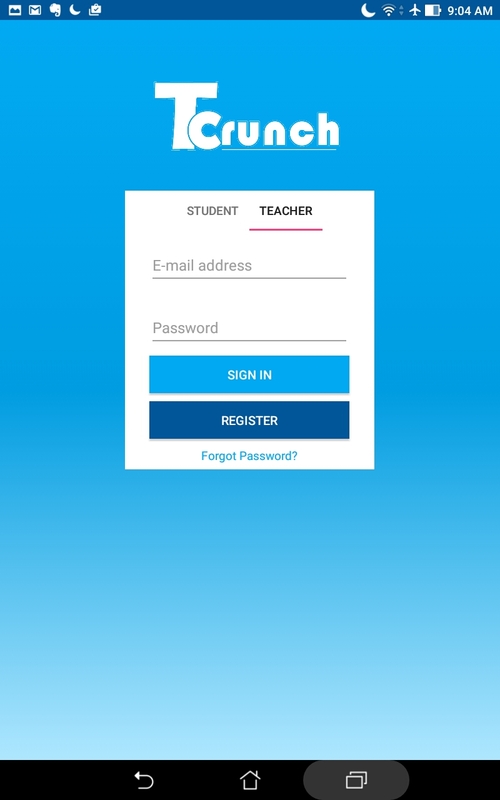 There is both a teacher and student portal into the app. Teachers can create and manage different classes. Within a class, teachers can create a question or prompt and release it to their students, who will also have Tcrunch. Students can then see this question, click on it, and answer it. Student answers come into the teacher’s app in real-time. Teachers can evaluate the results in the app or email themselves the results in the form of an Excel document. Other functionalities include multiple choice, a bank of pre-existing questions to help improve teaching, and an anonymous setting for student users. The app development process took nearly a year, with iterative coding and testing with teachers and students. Both student and teacher users have enjoyed using Tcrunch. They have referenced enjoying the ease of use, being able to create and answer questions on the go, and having a platform for all their classes in one place. John has personally found Tcrunch has helped him to restructure classroom time and assignment load, and even to find out why students are missing class. John cites this development process as the main difference between his app and already existing polling technologies. In the future John wants to extend the reach of Tcrunch to more teachers through advertising and partnering with Edtech organizations. While the app may not be as flashy as Pokemon Go, Tcrunch has great utility and potential in the classroom. As I have signed up for several Coursera MOOCs, I now benefit from getting advance notice of MOOCs being offered in my areas of previously indicated interest. A few weeks back I was made aware of a MOOC being offered by the University of Houston, Powerful Tools for Teaching and Learning: Web 2.0 Tools. I’m not in it for certification, so I find MOOCs can be a quick and easy way to review concepts, learn new material, and find out about useful resources. Powerful Tools for Teaching and Learning: Web 2.0 Tools is in week three of a five week course, but it’s not too late to sign up if you want to avail yourself of some new ideas and resources. I like the weekly format: there are three short (5-6 minute) videos on a topic (so far, communication, collaboration, and creativity; coming up will be utilizing your toolbox and lifelong learning), three 4-5 minute scenarios, and three examples of tools or applications to try out. The range is broad, covering K-Higher Ed, so some of the material may not be relevant to your use. The key takeaway for me has been in the area of how to decide on which application or tool to use. This was addressed in one of the introductory videos, So Many Tools… So Little Time. In the video we are told to think of using new teaching and learning tools as acquiring new skills. It’s important to pick the right tool for your task. You should have a reason (need) to use a tool and seek help in finding the best tool for your need. Turn to your colleagues and institutional experts, especially instructional support staff if available. Practice using the tool before unleashing it on your students. Understand that your skill (and your students’) will improve with use. Evaluate how the tool is serving your need. Another thing to keep in mind is that applications that are web or cloud-based and not licensed by your institution may not have guaranteed sustainability. If you are thinking of adopting a tool for use over a longer period of time, you should research the history of the company to determine likely longevity, updating, and maintenance of your account. Google applications are more likely to be around in a year than an app that a couple of high school students have put together as a fun project. Also make sure that you keep local copies of your content in case the application does disappear. Check to see if there are ways to download or export your content after you or your class have completed the project. If signing up for the MOOC does not appeal, you can skip straight to the University of Houston’s College of Education website Laboratory for Innovative Technology in Education where tools are listed by type. Scroll down to 21st Century Tools to see the categories. These are a few of our favorite… apps! Faculty often ask CER staff about our favorite smart phone apps. There are many categories of apps including entertainment, games, books, lifestyle, productivity, communication, collaboration, news, shopping, social, and education. This post will focus on apps that can enrich the teaching experience or help instructors with their daily work flow. Apps like “Gmote” for Android and “Touch Mouse” for iOS allow you to control a computer’s cursor from across the room using your smart phone. This can un-tether instructors or presenters from podiums and allow them to walk about freely while controlling their presentations. The “Crestron Mobile for iOS” and “Crestron Mobile for Android” apps allow these devices to control lights, media, climate and projector controls remotely in any of the “smart” classrooms at JHU. Contact IT@JH for information on using this app in specific classrooms on the JHU Homewood campus. 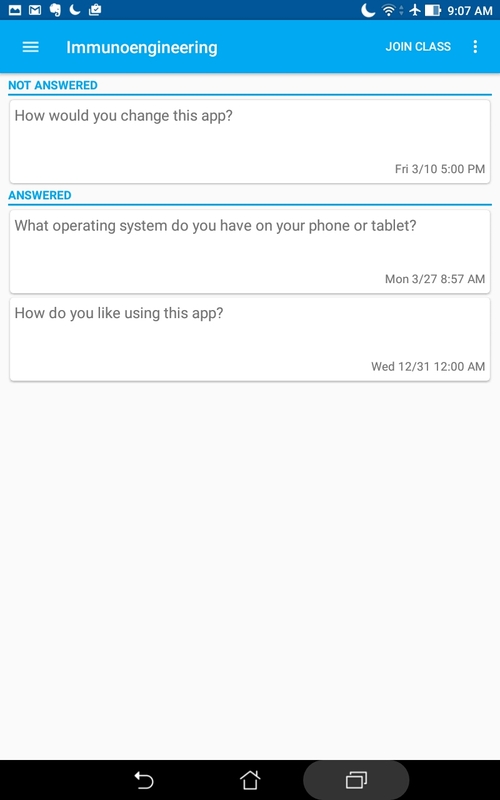 Android has a convenient app for managing the files on your device: “ES File Explorer.” With it you can move, copy, rename, make folders, and even unzip compressed packages. It also comes with a simple text/image viewer to give you a better sense of the content of a file. When you need to make files available for multiple people to view later or on a different computer, “Dropbox” for iOS and Android lets you store your files “in the cloud” for sharing. Using “SkyDrive” with your Windows Phone affords a similar ever-present file repository. gives you more features than the basic note taking app. device comes with basic camera functionality, but apps like “Camera Zoom FX” for Android and “Camera+” for iOS will give you control of the camera’s settings, increase the chances you’ll take a good photo, and support post-production editing/enhancing of the photos. “Thumba Photo Editor” for WP7.5 also allows you to extend your post-production editing options and edit GPS data. If a single photo doesn’t do your location justice, apps like “360 Panorama” and “PhotoSynth” for iOS and WP7.5 can stitch photos together for a panoramic experience. allows you to sync and read all your purchased Amazon e-books. 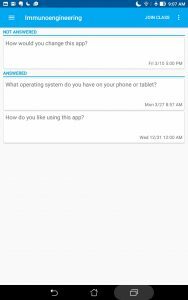 app available for iOS and Android, gives you robust answers to technical questions. send notifications, and sync with your computer.